In my version, they die in an earthquake. So sad. Look at the devastation. 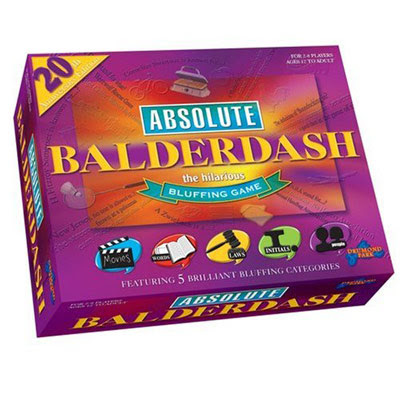 This is my homage to Balderdash, my favorite game in all the land. It trumps Settlers (I'm not big on intense competition), Scrabble, Signs, etc. I think I'm going to lug it around with me wherever I go and attempt to make people play with me as often as possible until I get sick of it. With the right group of people, you can have yourselves hours upon hours of stomach-toning fun. And who doesn't want to play a game that will simultaneously work out your ab muscles? It brings out the wit in your friends, giving you reason to love them all the more and has the potential to boost your self-concept and make you feel funny. Kiffy thinks this last reason is why I love it so much, and he's right.